Rishi Kapoor Slams Bollywood Actors for Not Attending Vinod Khanna’s Funeral! They were at Priyanka’s Party! Rishi kapoor never really monitors or filters his thought on social media. He is most candid yesteryear actor we have on Twitter. We all know that he was a good friend to Vinod Khanna. The actor who was suffering from bladder cancer, breathed his last yesterday. Rishi Kapoor went on a Twitter rant and highlighted some of his valid observations. 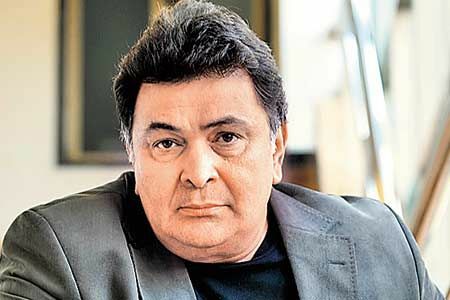 Rishi Kapoor slammed the young age actors who did not show up at the funeral but showed up at Priyanka Chopra’s party. There were few of them who had even worked with the star himself and hardly anyone came and paid respect at his funeral. His tweet was direct and fierce. He started his tweet with just highlighting the fact that no new age actors have come to the funeral.